Browse our massive Avengers Collection! 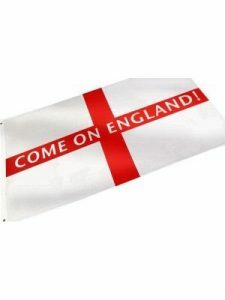 Check out our brilliant St Georges Range! Take a look at our Medieval Collection! Browse our fabulous Easter collection now! 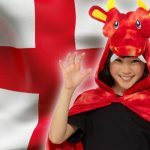 Are you ready to celebrate St Georges Day 2019? Well you will be thanks to us, here at Hollywood Fancy Dress! Tuesday, 23rd April 2019 - is the date for your diary. Show off your support for England with this awesome St. Georges Bunting! It's approximately 7 meters long and made of PVC so the red cross can glimmer in celebrations! This amazing, St Georges' Day: Come on England Flag is just the thing to celebrate the day. This fantastic flag is red and white and 3 x 2ft long. 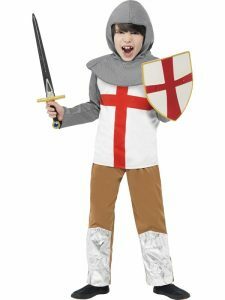 This fantastic children's knight costume is from the 'Horrible Histories' range. It comes with a chain mail printed hood, red and white cross tunic and brown trousers with a silver shimmer to replicate armor. Dress your little one as a night and let him brave his own battles! It's a must-have for your little one! 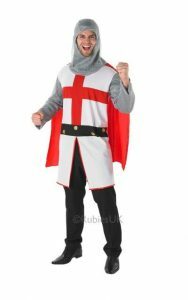 This fantastic St George Knight costume is ideal for any gentleman that loves his medieval pleasures! This brilliant costume includes a tunic with faux chain mail arms, hood and red cape to complete the look! This fantastic Kids Dragon Wings Fairytale Beast Fancy Dress Accessory is a must-have for any little one looking to dress as a Dragon! 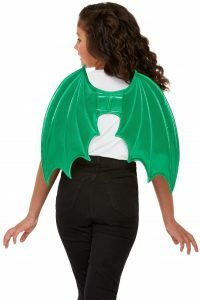 This brilliant pair of Dragon Wings are Green and have a velcro bag which are ideal for any little one looking to dress as a Dragon! These emerald coloured wings are a must-have for St Georges Day! Deluxe Dragon Costume. Honor your Khaleesi and become a fire breathing beast and avoid being slayed by a noble Knight in our brilliant Adult's Deluxe Dragon Fancy Dress Costume. This Game of Thrones inspired dressing up outfit comes complete with an all in one textured red and yellow jumpsuit which has a zip up front and an attached character hood. The character hood has a 3D face complete with fangs, ears and horns. To finish off this spectacular outfit is a padded tail which is attached to the back of the costume and has yellow triangular spikes throughout. Ice Dragon Mask. Remember in Game of Thrones when the Night King resurrected Daenary's dragon Viserian? 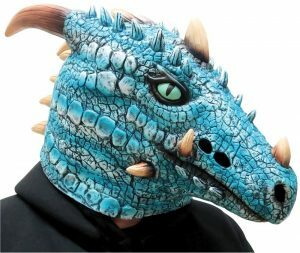 Well now you can dress like the soon-to-spread-doom dragon with this fantastic fancy dress Ice Dragon Mask. It's a full overhead mask in blue with attached horns and made from latex. Superb quality! 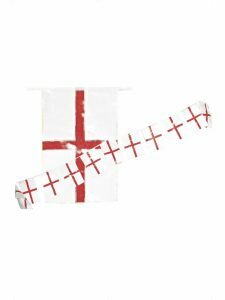 Ideal for St Georges Day 2019! Red Dragon Mask. 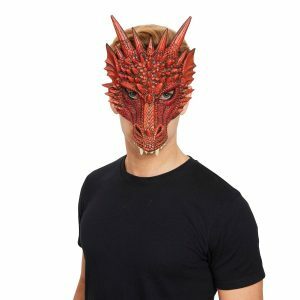 This brilliant Red Dragon Mask is ideal for any Game of Thrones fan out there! Dress as Khalessi's Drogon with this brilliant Dragon Mask! It's Red with a scaly reptile design. Daenarys Targaryen the Mother of Dragons would be proud! Green Dragon Mask. 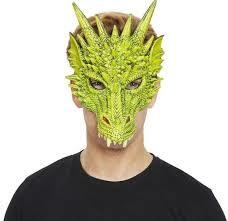 This brilliant Green Dragon Mask is ideal for any Game of Thrones fan out there! Dress as Khalessi's Rheagal with this brilliant Dragon Mask! It's Green with a scaly reptile design. Daenarys Targaryen the Mother of Dragons would be proud! So why not grab this dragon mask now?! This brilliant Dragon Latex Mask is ideal for any mythical beast lover! 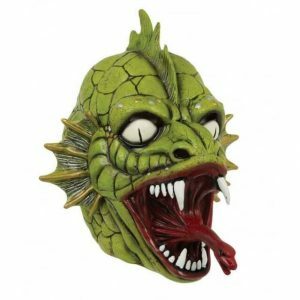 This Dragon styled mask is green with a beastly design and is made from latex. It features reptile eyes, teeth, tongue and a scale like design. We have a brand new store in Bournemouth Town on Commercial Road which is bigger and better then all our other stores! We also have a Queensway store in Southampton, Castle Lane Store in Bournemouth and our Poole Store in the Dolphin Shopping Centre! Don't forget also if you are local and would like to reserve an item then you can purchase anything online on our website and collect in store! Equally if you cannot make it into one of our stores because your schedule is too busy, that's not a problem either! Just shop online, on our fast and even more efficient website! Buying online has never been so easy and safe on our secure site! 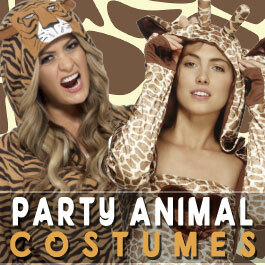 Furthermore, browse thousands of fancy dress outfits and make sure you choose the one that's perfect for you! All off our stores are completely kitted out with everything St Georges Day goodies right now, so make sure you pop in for a Spring refresh! Make sure you come into Hollywood Fancy Dress now and also go online to find your outfit, accessories or balloons! St. George was adopted in England because the story in The Golden Legend, about his slaying of a dragon, was similar to an Anglo-Saxon legend. Edward III made St. George the patron saint of England when he founded England’s order of knights (Order of the Garter) in 1350. The date of St. George's Day occasionally changes if it falls close to Easter. In 2011 it was moved from its usual date to 2nd May and in 2014 it was moved to 28th April. The country Georgia is named after St. George. The flag of England comes from St. George's Cross and is used as part of the familiar Union flag used in the UK. To find out more about the patron saint click here. So come on, pop on down to Hollywood's now to get yourself the best 'dragon-slaying' gear we have to offer... or just some brilliant party decorations. Celebrate English traditions with the old fable of St George and the dragon! The perfect family day to teach your children about British heritage and history. From costumes to accessories - you will love our collection! Fancy Dress costumes from Hollywood fancy dress party store based in the UK, shipping internationally. Discover our incredible variety of affordable men’s costumes, women’s outfits and children’s fancy dress costumes, ideal for any occasion. Your one stop shop for everything fancy dress, has a wide range of themed costumes alongside our latest collection of fancy dress costume ideas. Because “fancy dress is no joke”, we stock the widest range of themed costumes at budget prices and in varied sizes with top quality materials. Be inspired by visiting all of our dressing up costumes covering all eras including the 20s, 80s and 90s to Cowboys and Pirates even going back to the land time forgot with dinosaurs and cavemen! Our Halloween costumes include styles of terrifying clowns, zombies and scream reapers. We have an extensive range of World Book Day costumes, Christmas fancy dress, Hen and stag party accessories and overall more fancy dress all year round. You can even dress as your favourite super hero! Complete your look with our immense selection of costume accessories, including rubber latex masks and masquerade masks for all events. 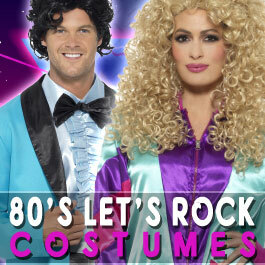 If you’re ready to have a giggle, treat yourself to one of our vibrant fancy dress wigs. You will be blown away by our range of trendy cosmetic face paints and make up kits to complete your look. Hollywood stock an extensive range of official licensed costumes from leading brands, Smiffys and Rubies to name just a few who provide us with top quality products including character costumes, to name a few would be Disney, Marvel, Baywatch and Grease costumes, you can even find Where’s Wally on our website! 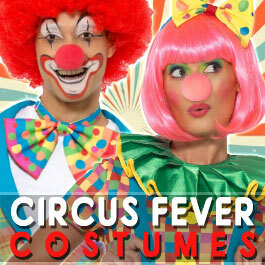 Buy your fancy dress outfits for adults or children’s costumes for dressing up. We offer low cost delivery with track and trace next day and are always stocking the latest designs from the fancy dress industrys leading manufacturers. For personal service please give us a call on 01202 532331 today. One of our expert staff will be happy to help you find the perfect products for you from our vast selection. Visit our ultimate fancy dress stores on the south coast of England located in Bournemouth, Poole and Southampton, for the largest selection of costumes and fancy dress accessories in store. We also offer balloons including a decorating service and balloon bouquets that are available for locals and near by customers. If you’re looking for a bang, explore our wide range of breathtaking fireworks!